How Do Tree Fertilizers Work? The days of trees having time to fully mature, die, decay and return a good balance of nutrients to the soil on its own are over. Modern day agriculture demands an ability to replenish overused soil quickly and efficiently. Tree fertilizers have filled that need by reintroducing nutrient balance to soil that can’t reproduce the nutrients necessary for growth quickly enough on its own. Cause a problem, find a solution…… that is what humans do. In this case, using natural and synthetic fertilizer formulas to offset the depletion of nutrients from our soils as a result of our agricultural practices. Fertilizers today are designed to help growers produce healthier, faster growing trees despite soil conditions. 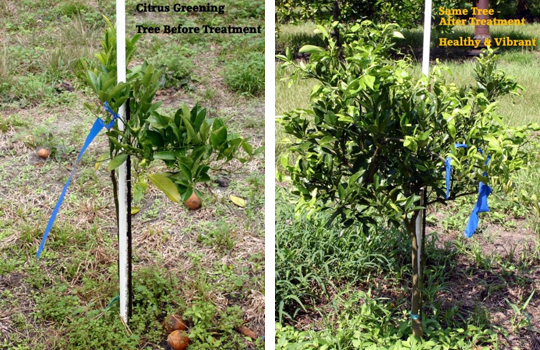 The benefits of adding fertilizers to the tree planting process include more rapid growth; faster recovery from injury, pruning or pest problems; overall improved health and better foliage color. Easy availability and simplified application methods also simplifies the grower’s job. There are many tree species, climate conditions and insect and disease situations to be considered, as well as recommended application methodologies. Properly used, fertilizer is a useful tool to the tomato grower but it has its drawbacks, two of which are that growers tend to overuse it and that it’s expensive to apply. Too much fertilizer not only doesn’t promote better tree growth, it can actually reduce the productivity of the soil, burn the trees and create excess chemical buildup in soil and waterways. Such impacts can be expensive and counterproductive to the grower, hazardous to human health and unkind to the environment. Fertilizer boosters have been found to be effective adjuncts to fertilizer use. How? They actually help plants more efficiently process the nutrients made available by the addition of fertilizers, as well as increasing moisture absorption by the plant (fertilizer requires water to be effective). Through a process known as Cationic Exchange Capacity (a process that stimulates the electromagnetic exchange between the roots of trees and nutrient ions of the soil), BioWash helps the tree to more efficiently absorb the nutrients and moisture it finds available in the soil. This efficiency of use translates to less fertilizer being required. Additionally, BioWash increases BRIX (sugar content) in the tree, which helps enhance the photosynthesis effect of the sun’s rays. Increased sugar in the plant makes them more insect resistant as well. The result? Faster growth and sturdier, healthier trees. Amazing!